Fishermen and fish camp owners say smelters this year are catching their limits. 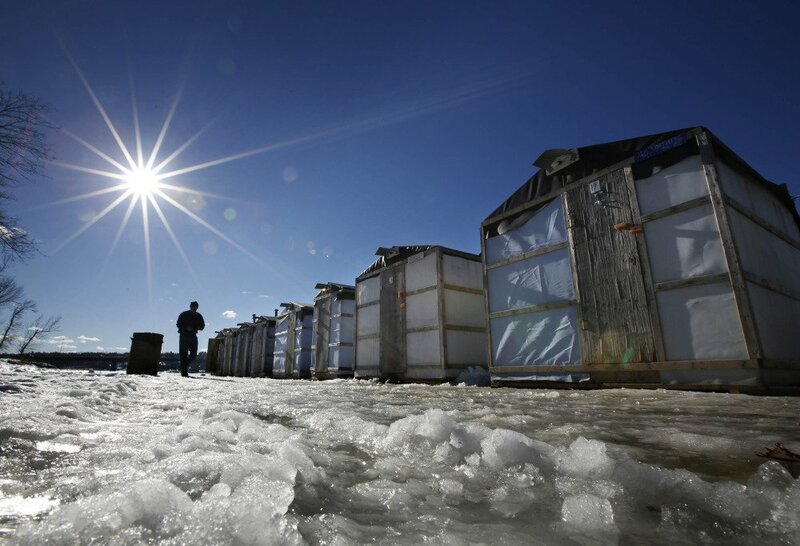 Ice fishing for smelts is a winter tradition in Maine, where the small fish are fried and eaten whole. Fishermen and fish camp owners say this smelt-fishing season has been a robust one after the mild winter last year produced hardly any smelts. The ice has been thick enough for fishing and smelts have been abundant. Jim McPherson, owner of Jim’s Camps in Bowdoinham, said the season has been the best for smelt fishing at his camp in at least five years. Smelts are part of many culinary traditions – from the use of their eggs in sushi to the practice among Italian-American families of incorporating them into Christmas Eve dinners. Maine’s rainbow smelts are particularly sought after. But the nationwide catch has plummeted in recent years. And the stock as a whole in Maine remains far below historical levels, said Michael Brown, a biologist with the Maine Department of Marine Resources. Maine bans smelt fishing from March 15 to June 30 along the coast from the New Hampshire border to Owls Head. Maine also limits how many smelts can be fished along parts of the coast.